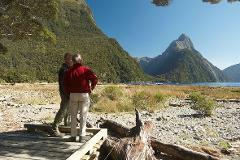 Enjoy a small group day trip to Milford Sound, including a boat cruise. Our relaxed timetable ensures the best opportunity to enjoy walks, scenic stops and explore this iconic area with a local nature guide. 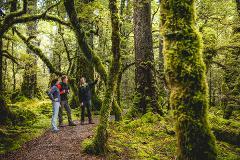 Enjoy a exclusively guided Milford Sound day experience from Te Anau, with a boat cruise and walking, photographs and scenic stops. Get the most out of your day traveling with a local guide, on your own terms. 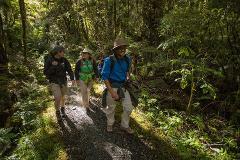 Enjoy a guided half day morning walk to Giant Gate on the world-famous Milford Track from Milford Sound. Enjoy a guided half day morning walk to Giant Gate Waterfall on the world-famous Milford Track at Milford Sound, then see the Fiord by boat with a Scenic Cruise.You've got Milford Sound covered with these two great products. 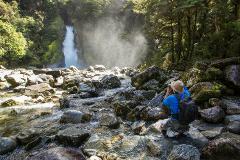 Enjoy a private guided half day morning walk to Giant Gate Waterfall on the world-famous Milford Track at Milford Sound, then see the Fiord by boat with a Scenic Cruise.You've got Milford Sound covered with these two great products. 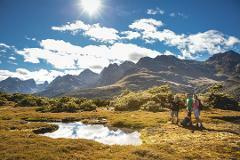 Base yourself in Fiordland and discover the Milford, Routeburn and Kepler Tracks with a guided walk each day. 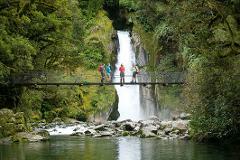 Enjoy diverse and spectacular scenery, this package offer the very best of hiking in New Zealand.